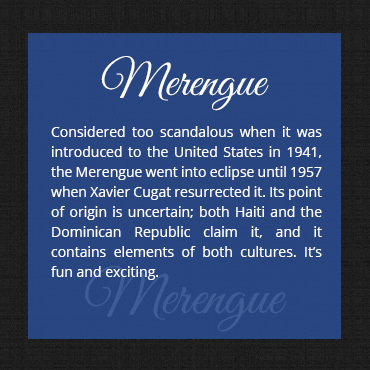 Considered too scandalous when it was introduced to the United States in 1941, the Merengue went into eclipse until 1957 when Xavier Cugat resurrected it. Its point of origin is uncertain; both Haiti and the Dominican Republic claim it, and it contains elements of both cultures. 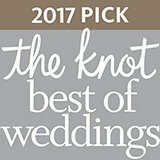 It’s fun and exciting.